Usually when I start working on a new project, I try to optimize the tools I work with so I can maximize my productivity. If you’re also a heavy RDP, Citrix, View, etc. user as I am, and often work with servers spread across all continents, I’d say it’s mandatory to optimize your remote experience as much as possible. Here are some simple tricks that would offer you a boost in performance when talking about how fast the remote Windows UI is shown on your screen. This will for sure give a bump in performance. Not sure how much, percentage-wise, but it’s highly visible. This is again something that would visibly impact your performance. Appliance (OS) root password is expired or is going to expire soon. Please change the root password before installing an update. I had this error message popping out in VCSA when I tried to perform an update via the VCSA gui (https://vcsa.fqdn:9458) and basically, the update process wouldn’t start. I also couldn’t change the root password as I was getting into another issue Permission Denied. 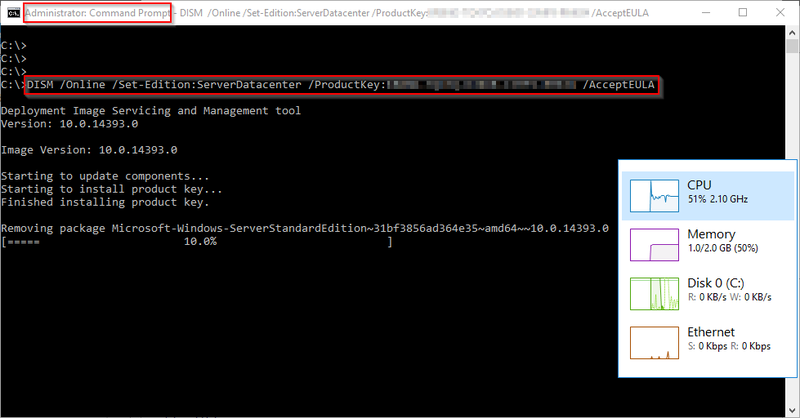 Set the maximim number of days when the password will expire.Administrator configuration updated successfully. In order to get this solved quickly and be able to start your VCSA update process, open first a ssh session to your VCSA and change your root password by typing passwd. After this step, you can move on to your update process. 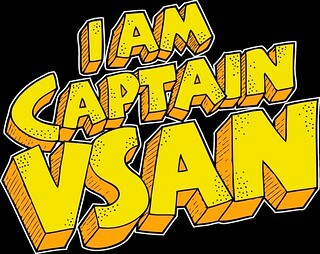 I’m currently managing a huge vSAN environment with 132 hosts in 10 clusters and I learned the hard way some vSAN hidden stuff that you probably never see in smaller environments. Still, during normal operation, the vCenter state is regarded as the primary source of truth starting with vSAN 6.6. ESXi hosts are automatically updated with the latest host membership list coming from the vCenter Server. When a vCenter is replaced or recovered from backup however, vCenter host membership list may be out of date. It might also be out-of-date if changes to vSAN cluster membership were done using manual “esxcli” command on the vSAN hosts while vCenter was offline. I ran into this is issue and the fix or better said, protection is just one command but it’s a bit cumbersome to set it up as you basically need to push it to all hosts. 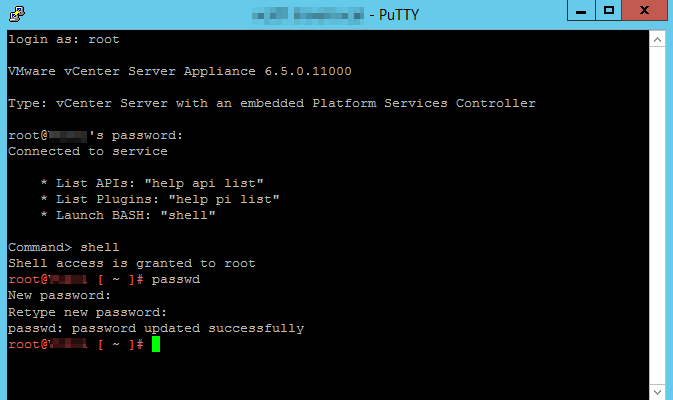 I adapted a bit that script so it can be a bit more flexible and user friendly so I can run it in PowerCLI and setup all hosts in all clusters and not have to ssh in all of them. Write-Host -ForegroundColor Red "Continue? (Y/N) "
Warning: The available space to /dev/disks/naa. appears to have shrunk. 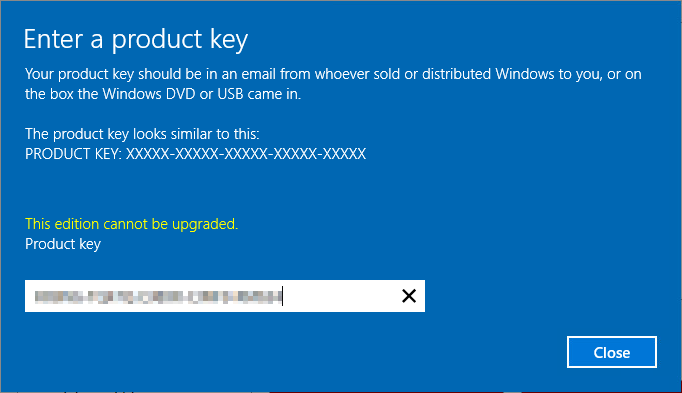 This may happen if the disk size has reduced. The space has been reduced by (x blocks). I thought I was lucky because I found vSphere 6.0 installed on them and thought that if I’m just upgrading all components, will be faster than a clean reinstall. The old cluster I destroyed, had vSAN installed (some colleague played with it last year) and when I created the new vSAN cluster, some of the disks could not be claimed as the partitions (or GPT Table) were corrupted. I got really pissed off that I couldn’t delete those partitions and was close to admit defeat but I got lucky and found this VMware KB. I normally use for work at least 2 physical devices so I’m not affected too much about any hardware or software malfunction. It was the case also for the Amazon WorkSpaces Client which for some days, didn’t wanted to register with the AWS WorkSpace that I had configured, showing an error for Registration service in the service checks window. 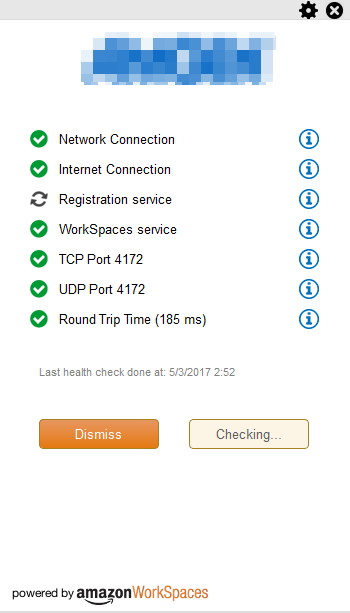 It always told me to check my internet connection although that my Internet connection was running fine. I got this issue fixed by going to my user profile and deleting the Amazon WorkSpaces config folder. 5. Enjoy the easy fix! I happen to have more than a couple of dozens Windows Server VMs in my HomeDC, starting with Server 2003 and ending with (the gorgeous) Server 2016. I tested 2016 along with various products (including XenDesktop, Horizon View, VEEAM) since I first got my hands on the Tech Preview 1 and as per today, I have close enough to 15 VMs running with the 2016 Evaluation version. I didn’t really wanted to reinstall EVERYTHING just because Windows doesn’t want to switch “automatically” from Evaluation to the new Product Version for which I had a license, so I started digging into DISM. So, what’s to be done? NOTICE: If you have a Datacenter edition, you might need to set the edition to “ServerDatacenter” as it was the case for me. At the end (yeah, it takes a while…), the process might request a reboot, so reboot your server and then check the Activation status. PS: Not sure if this works for the Core edition. Didn’t had the time to test, but I guess it’s not working. Before VMware vCenter 6.5, deleting orphaned VMs was really easy. You just needed to connect with the VMware vSphere Client (the fat client) to the vCenter server, create a new folder, move the broken stuff in it, and delete the folder. Well… on vCenter 6.5, that’s not possible anymore as you can’t connect with the vSphere Client on the vCenter server, just to the ESXi. You’ll now be prompted for credentials needed to login in vCenter. 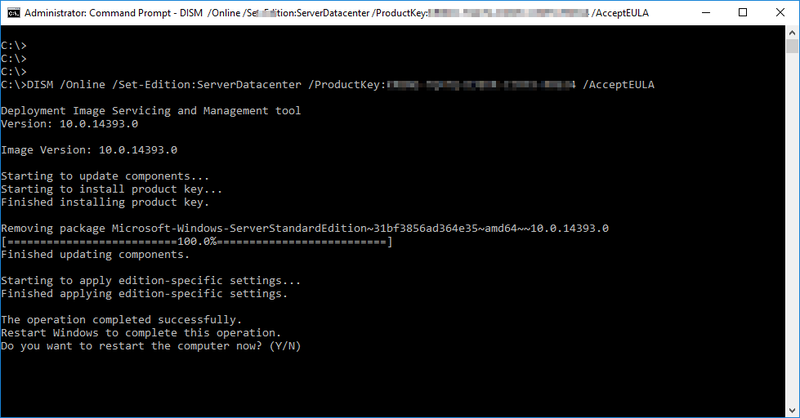 When you deleted all your VMs, you should also check to see if the process left behind some crap like unused VMDKs. If it tells you that it fixed something, just press CTRL+D and let the damn thing boot. My LAB environment’s “reliable” storage system is a Synology NAS (XPEnology actually) and I present iSCSI LUNs out of it for all my devices, including the 2x SUPER-AWESOME Supermicro SYS-5028D-TN4T that I’ve aquired in June 2016. So, from time to time (to be read as less as possible) I reboot the NAS due to different reasons but nothing really bad happened until now as I do my homework and shutdown anything that might use that shared storage system. This time, I forgot to shutdown the vCenter server, which you guessed… was using one of the iSCSI LUNs as its underlying storage and one of the partitions got corrupted and the vCenter Server crashed and failed to boot. Like any respectable company, Atlantis Computing®, the leading provider of Software-Defined Storage (SDS), proves its maturity level every day with its products and services known by most virtualization experts around the globe. Today, the company went to another level, by launching the ACE – Atlantis Community Experts Program, a program that recognizes exceptional community leadership and provides a great opportunity for the Atlantis Community Expert (ACE) to connect Atlantis colleagues, fellow community peers and more. Atlantis Community Experts (ACE) receive insights into Atlantis products while they engage with Atlantis colleagues to provide feedback, share their notes from the field and present as advocates in the community. ACEs help shape the modern workspace and programmable Datacenter by providing valuable feedback on product strategy and future roadmap. The elite ACE group includes 28 renowned virtualization and storage experts who are actively engaged in the industry and provide guidance to their followers on Atlantis USX SDS and HyperScale hyperconverged appliance offerings through blogs, forums and articles. I’m honored to be part of the first wave of ACEs and actually the first Romanian awardee! If you want to be an ACE and join this great group of passionate ACEs please email their CTO, Ruben Spruijt (ruben@AtlantisComputing.com), give him some background about you and your work, and why you consider yourself an ACE. NVIDIA M60 / M6 Problems – check your card in “graphics” mode! This blog only applies to M60 / M6 (Maxwell generation) GRID cards. It is not relevant to GRID 1.0 (K1/K2 cards). If your system reports 0302 instead of 0300, the GPU is in “compute” mode. If it reports 0300 as above then it’s in “graphics” mode and this is not the cause of your issue.